In Mexico is very common to have eggs for breakfast and we have many ways to cook eggs. Huevos a la Mexicana is one of those dishes that everyone knows how to cook and it is me feel back at home in Mexico. 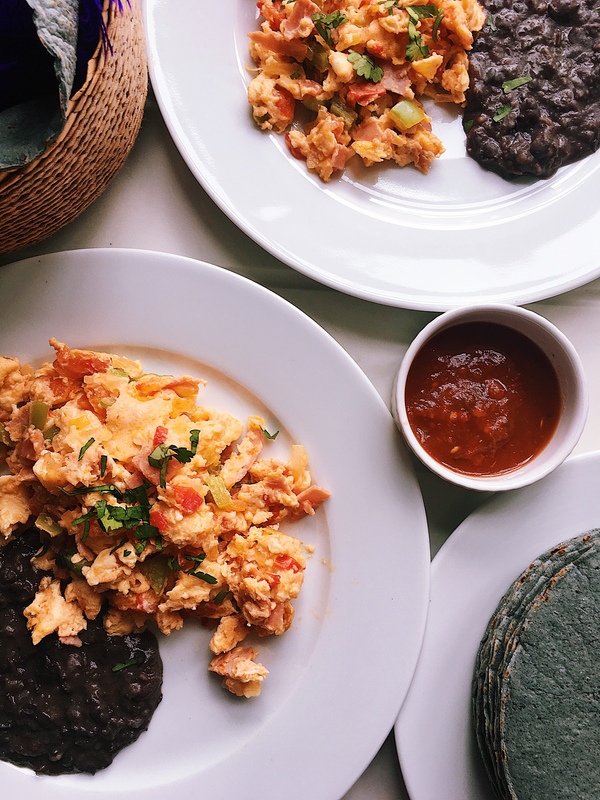 I think they are the most popular breakfast dish in Mexico and it is a very comforting dish, full of flavour and you can make it as spicy as you want. Its ingredients are just a few, but they are the most important ingredients that a Mexican kitchen must always have, tomatoes, onions and jalapeños. They are easy and quick to prepare and you can have them with some warm corn tortillas and refried beans and I assure you that this dish will put a smile on your face. In a frying pan put to heat the oil and add the vegetables, add some salt to taste and a pinch of pepper. When the vegetables are cooked. Add the eggs, and cook, folding the eggs over in large curds occasionally, until cooked through, for about 3 to 5 minutes.